Do you find Jetpack Joyride too much of a game? Love the classic Super Mario Bros look and feel? Flappy Bird can fix this need! The basic concept of the game is straightforward. 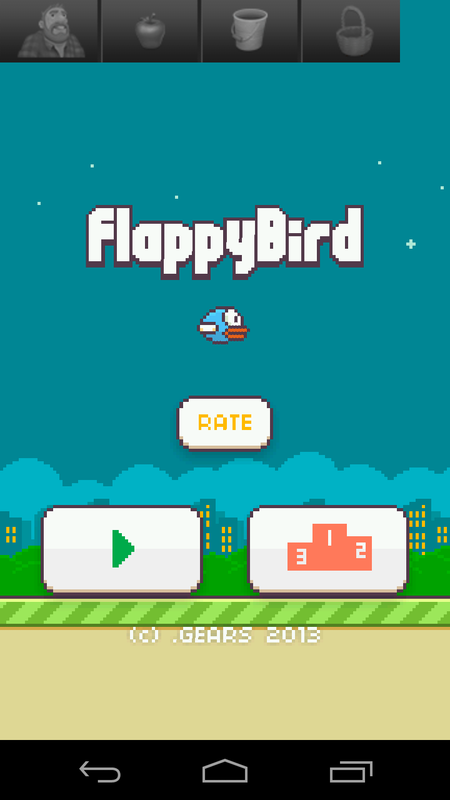 The player must navigate the bird up and down between a series of tubes. Tubes are static but are on the top and bottom of the screen. The opening between the tubes remains the same but the location of the opening varies. 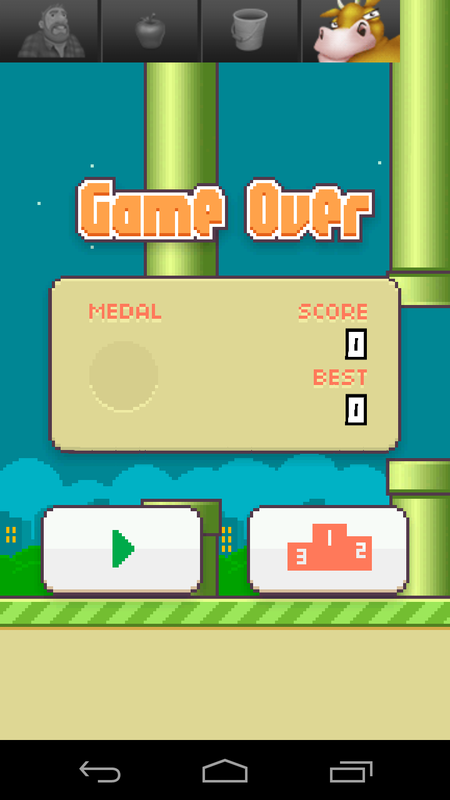 The game ends when the bird hits a tube or the player is unable to keep the bird flying. 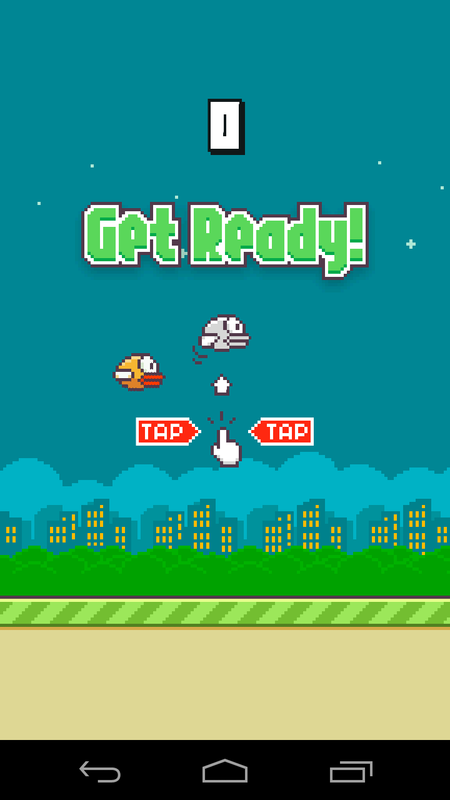 To keep the bird flying, the player only needs to tap the screen. Aside from that there are no other controls so remember or worry about. The game supports Google Play Games so the user can choose to have their scores shared and ranked among their friends who are also playing the game. Overall the game is quite fun to play and is very challenging. I haven't gotten past 5 tubes so I can't say how hard the game gets after some time but if the early part is any indication, it should be quite a tough game to beat, if it can be beat at all.